If you’re building a business that relies on funneling customers towards making large transactions, then sales calls are the lifeblood of your business. According to BIA Kelsey, inbound sales calls are actually on the rise — and expected to reach up to 65 billion annually! Google says that 70% of all mobile searchers have called a business directly from the search ads. And 65% of businesses consider phone calls their most valuable, highest quality source of leads. Sales calls are one of the best ways to build trust with potential customers. 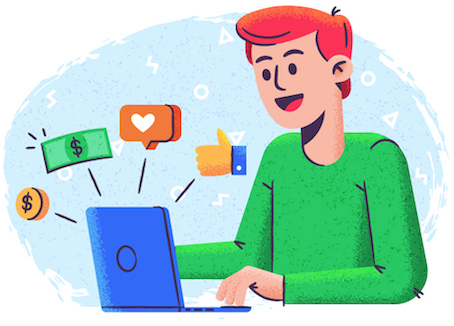 The truth is, if you’re selling a subscription product, high-ticket consulting, or any other expensive product or service, you simply can’t get customers to commit to a purchase after just a few Facebook ads and e-mails. People need to know who’s on the other end of the computer screen before putting their hard earned money down. They need to feel like they can trust you should something go wrong and they need customer service or even a refund. That’s why getting people on a sales call is such an important part of a good marketing funnel. When potential customers are ready to buy, they should be able to contact you or your sales team with little or no friction. For example, at Single Grain, we put our phone number at the top of the page so anyone interested in marketing services can give us a call at any time. But one thing that’s even more important is creating a system around generating sales calls instead of just following random tactics. It’s easy to place a phone number on a site, sit back, cross your fingers, and hope that people call. But how do you keep track of the number of people who are finding your number through the site? How do you know where they’re coming from? How do you know what they’re searching for? How do you know what they care about? If you know these details, then you can get more targeted with your advertising. You can put your ads in front of the right type of customers who are searching for specific keywords so that you boost the number of calls you get and sell more high-ticket products. Many business owners use Google AdWords to drive more people to their site or get more sales calls. But the problem is, many don’t have any idea what the ROI of their AdWords campaign really is. 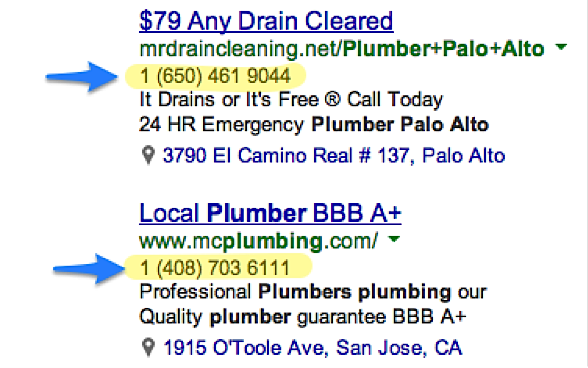 For example, how do you know whether someone called your business as a result of your AdWords ads without asking them? Google allows you to measure the number of calls you get from visitors who land on your site as a result of an ad from one of your AdWords campaigns. Jeremy Foster, director of marketing at 1000Bulbs, found that Adwords was driving twice as many calls to his business as previously thought. He even found that customers who call directly from his site tend to spend over five minutes on the phone. Data like this can help you close more deals in a shorter amount of time by targeting the right people. In another example, Paige Polatas (a B2B marketer), said that tracking call conversions helped her invest in AdWords more wisely and ultimately get a 147% increase in AdWords call volume. Elan Hasson, digital marketing and information manager at People’s Trust Insurance, found a 79% increase in total calls attributed to AdWords after tracking the sales call ROI of his Google Adwords campaigns. In this post, I’ll show you how to set up Google’s call tracking feature on your site so that you can measure how your AdWords ads affect your call volume. But first, let’s talk about how call tracking actually works. Free Bonus Download: Want to download a handy checklist version of this post? Click here to download it free. Suppose a visitor clicks on a Google AdWords ad that leads them to your website. Once on your site, they spend some time researching your products, maybe skim through your blog, and check out your testimonials. Then they see a phone number listed at the top of the page. They’re interested in knowing more, so they decide to call. According to the Google Blog, they’ve launched a new feature called “website call conversions” that inserts a forwarding number on your website that measures the calls made by anyone who clicked on your AdWords ad. Even if they dial the number directly from their phone, you can attribute the call conversion back to the keyword and ad that pushed the customer to call. Google does this by providing you with a snippet of code that you add to your desktop or mobile site. For each AdWords ad click, a new forwarding number is generated. The number is displayed to the user for 90 days to track future calls from that specific visitor. On mobile devices, call extensions are displayed as “call” buttons that allow users to contact businesses directly from the search results page. 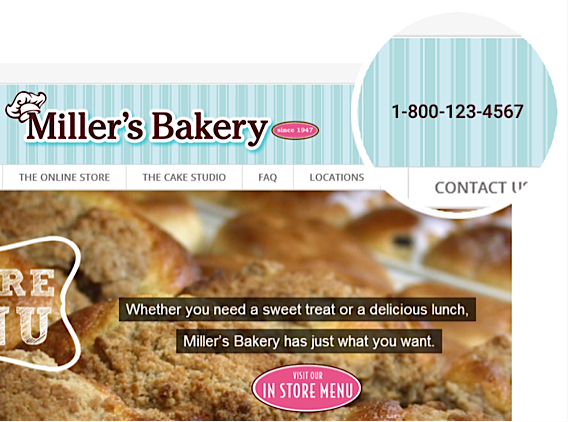 On desktop, advertisers can leverage call extensions to show their business phone number in a slightly different way. If customers don’t call from the number displayed in your AdWords ad but call the number on your website instead, you can still track those calls. According to Search Engine Land, a quick solution here is to display your own unique number that isn’t being used anywhere else — so you know exactly how many people are calling as a result of your AdWords ad. A slightly more sophisticated approach is to set up call tracking on Google so that new numbers are shown to different users who click on your ads. The call tracking system essentially measures your total monthly visitors and, based on that, it calculates how many phone numbers need to be dynamically displayed in order to show a different number for each click. The last place where you can include your business’s phone number on Google is on Display Ads. If you want to show trackable phone numbers in display ads, you’ll have to add the numbers manually. This way, you’ll still have a good sense of whether display advertising is driving calls for your business. Next, we’ll talk about the different steps to setting up call tracking in Google AdWords to tie your sales calls to specific keywords that customers searched for. To gauge how many calls your ads generate, you’ll need to first set up conversion tracking for your site. It helps you better understand how well your keywords, ads, ad groups, and campaigns are working for your business. According to Google, conversion tracking also allows you to take advantage of automatic bid strategies such as Target cost-per-acquisition and Target return on ad spend. These features help you automatically improve your campaigns. You need an AdWords account. You need an active call extension or call-only ad. Before or after creating a call conversion action, you’ll need to have at least one call extension or call-only ad. You’ll have to use a Google forwarding number with “count calls as phone call conversions” selected. Your business needs to be based in of one of these countries. The first thing to do is to sign in to your Google AdWords account. From there, click the “Tools” tab, and select conversions from the drop down menu. 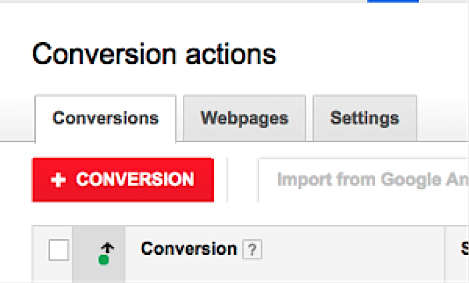 From there, click the “+ conversion” button to add a conversion action. From there, select the “phone calls” option. Then, click “value.” Enter a value for each call, or select “don’t assign a value” if you’d prefer not to count one. Then, click “count.” You can select whether to count every click or one conversion per ad click. If you’re tracking sales calls, “every” is better, but “one” is better for leads. Next, click “conversion window.” Conversion windows are how long after an ad click you want to track conversions. It could range between one week and 60 days. Then, click “category.” Here, you can select the category that best applies to your conversion. 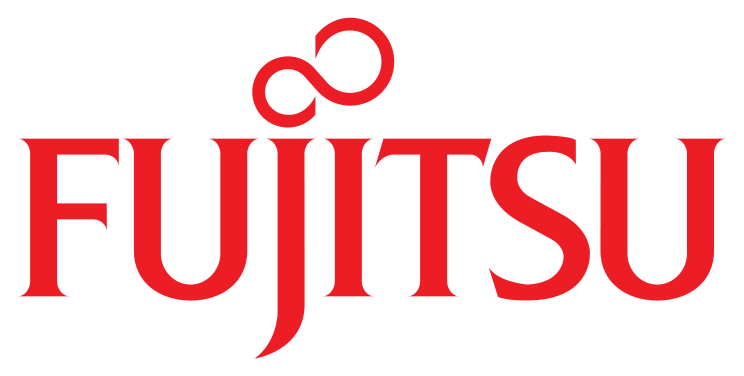 The choice here is used to segment your conversion reports, and can be changed later. Before you can implement call tracking for AdWords, you’ll need to have a call extension or a call-only ad. 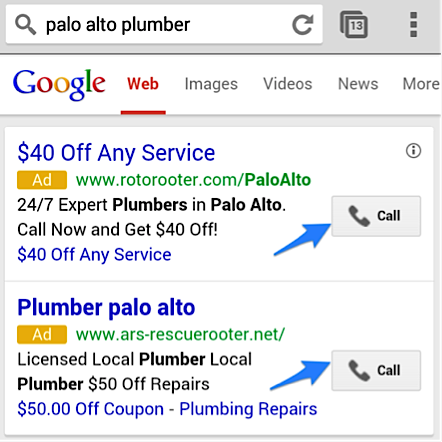 Once you set that up, you can select the call-only ad or call extension that you want to use. Next, click “Advanced.” Next to “report phone call conversions,” check the box to “count calls as phone call conversions.” From there, select the name of the conversion action you just created. Next to “conversion action,” select the name of the conversion action you just created. Sales calls are the bread and butter for many businesses. Local SMBs that sell consulting services or SaaS businesses that sell higher priced subscription products need to give customers the option to call them so that there’s some level of trust built before making the purchase. According to WordStream, 28% of local searches end with a purchase. Location-based search has been growing at a rate of 50% faster than mobile searches overall in the past year. Google provides users the option of “clicking to call” directly from the search results page itself — 70% of mobile searchers use this feature. And 65% of businesses consider phone calls to be the best source of high quality leads. So those who close deals over the phone but don’t use AdWords to get their number in front of the right people are leaving money on the table. In a world where most marketers are focused on social media and up-and-coming platforms, it pays to also stick to tried-and-true methods. By setting up call tracking in Google AdWords, you could skyrocket the number of calls you get to your business, and ultimately increase your bottom line. 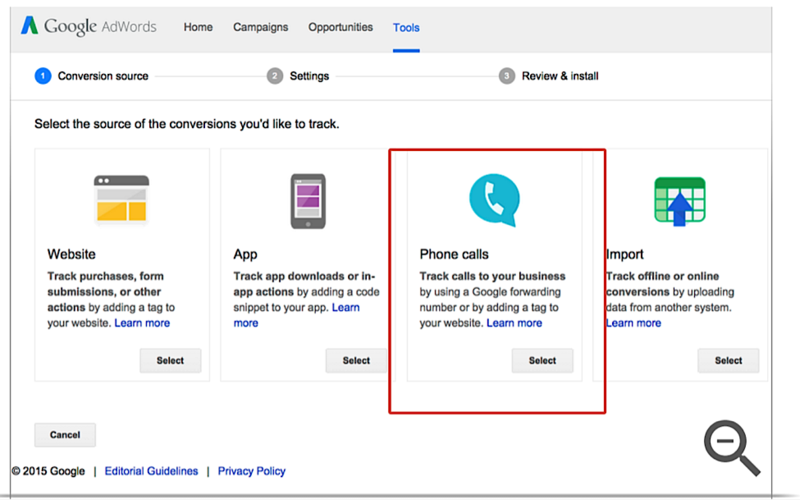 Will you set up Adwords call tracking for your business? Let me know in the comments below — I read every response.